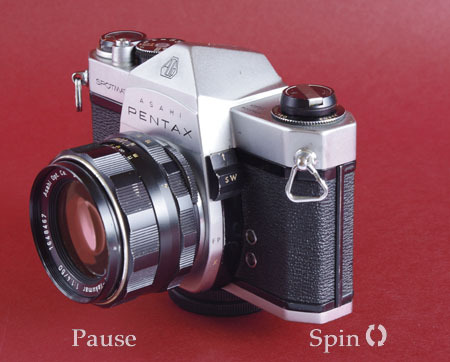 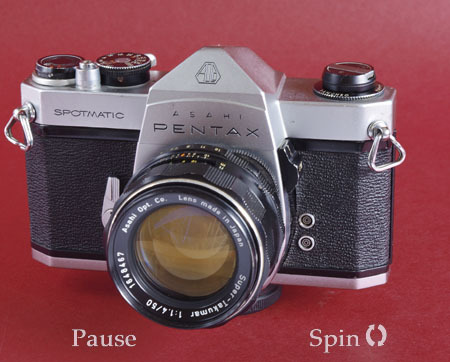 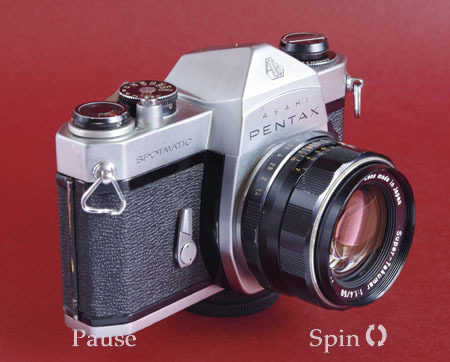 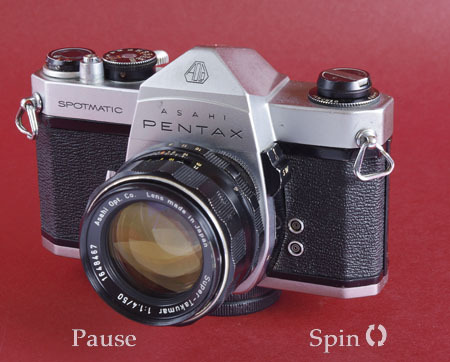 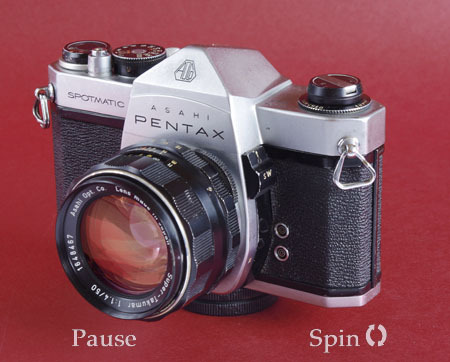 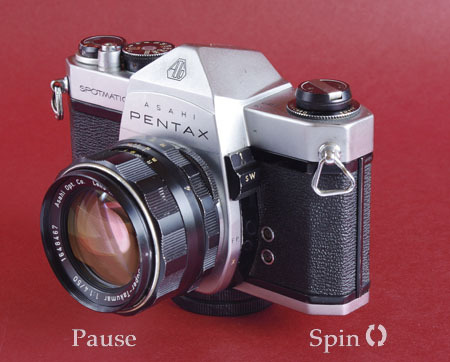 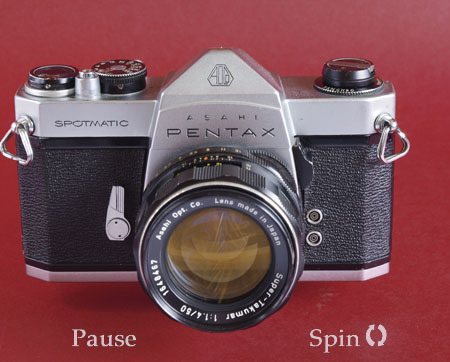 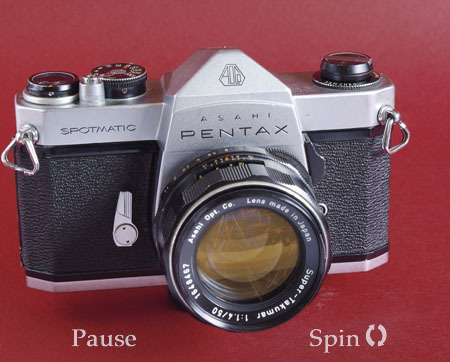 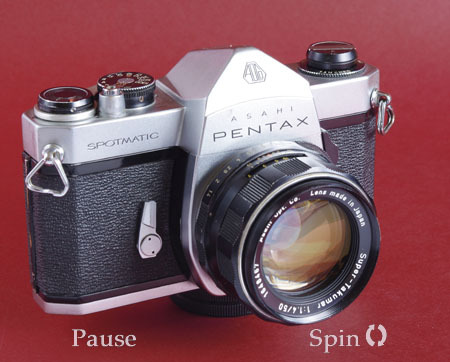 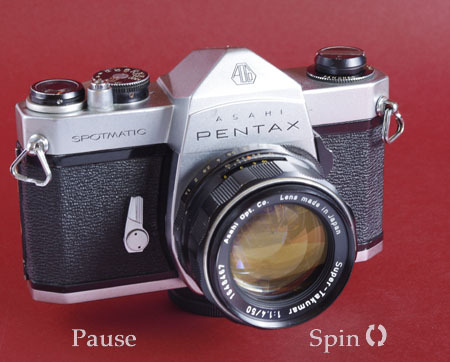 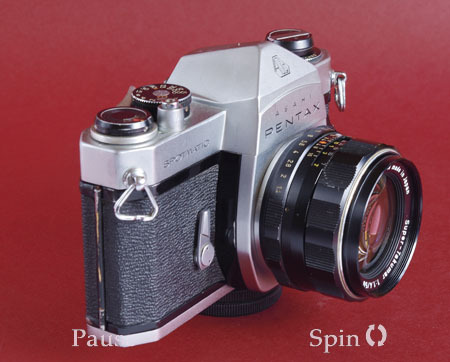 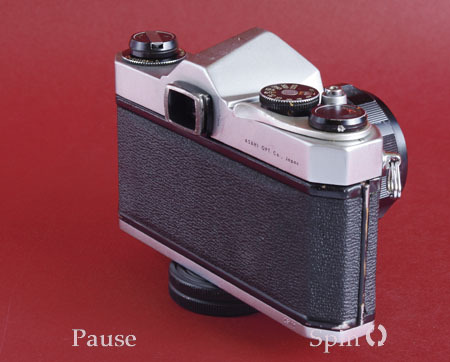 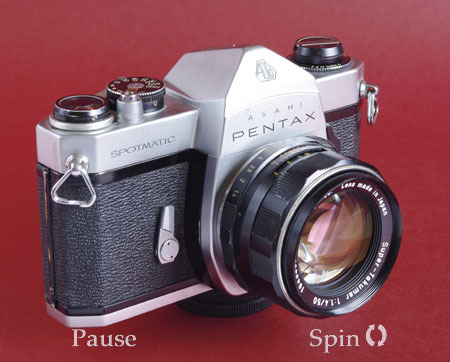 Pentax Spotmatic SP , vintage camera - all round view at 10° intervals. 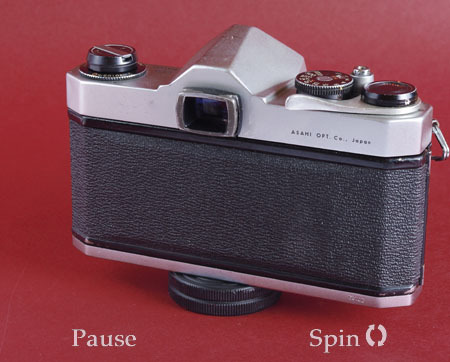 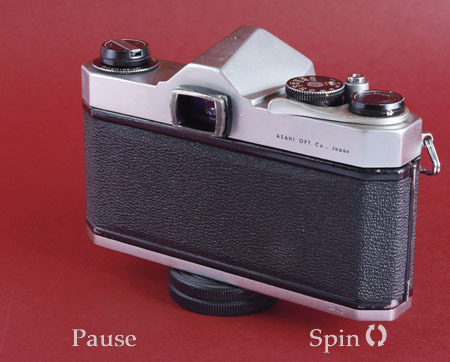 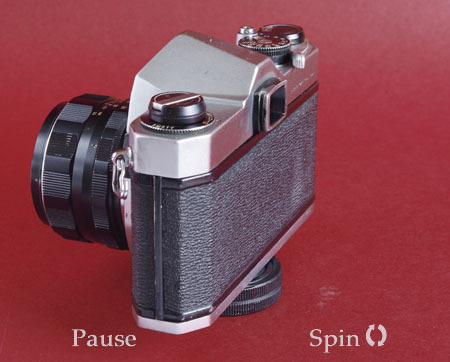 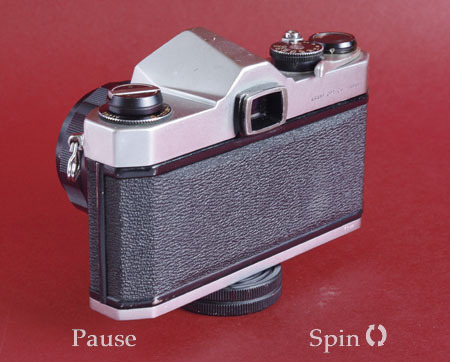 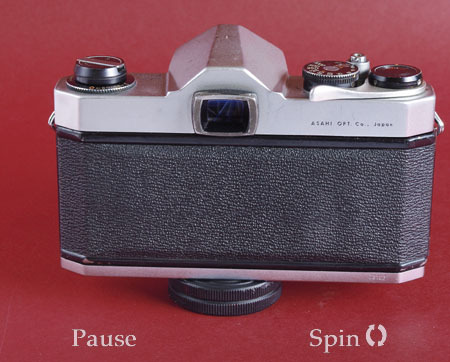 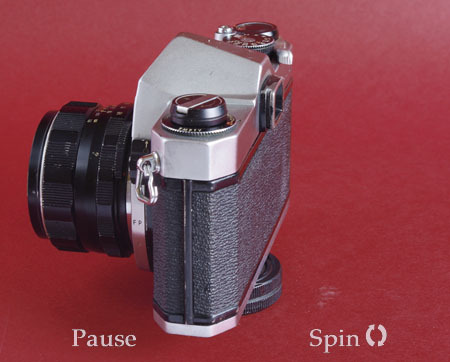 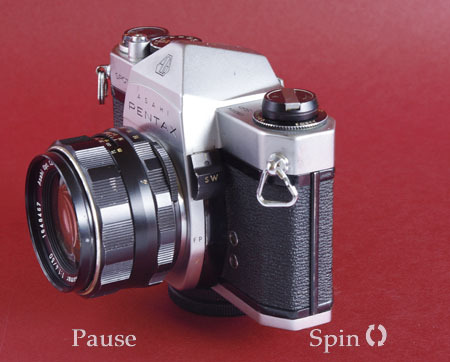 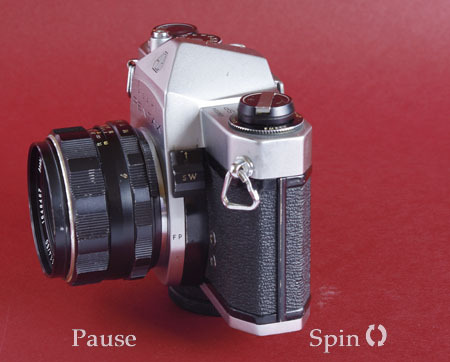 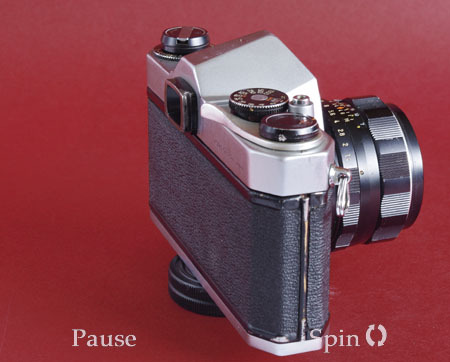 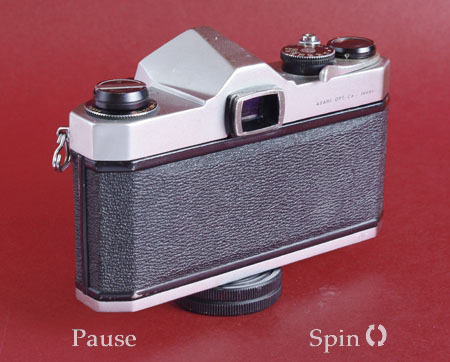 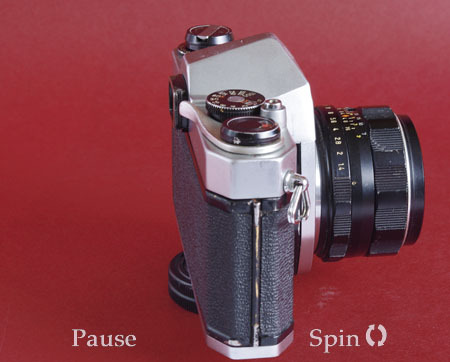 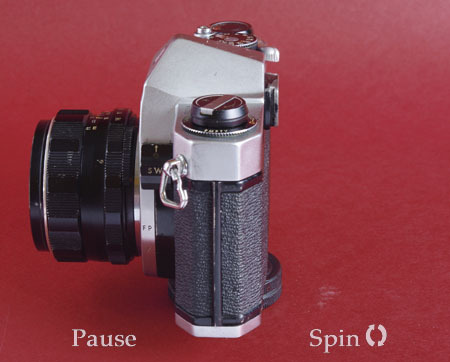 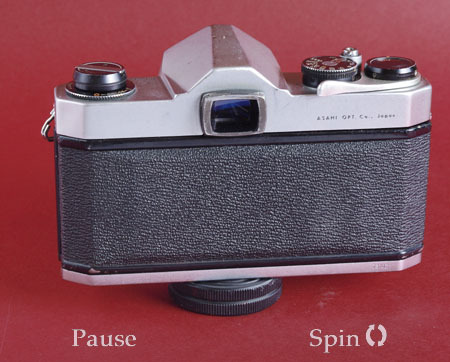 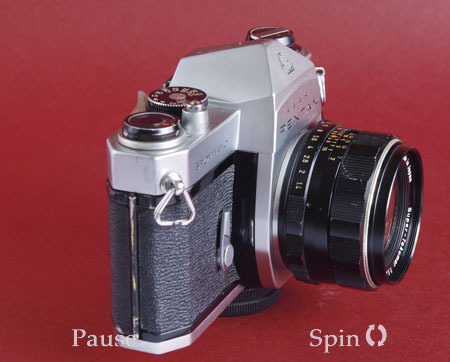 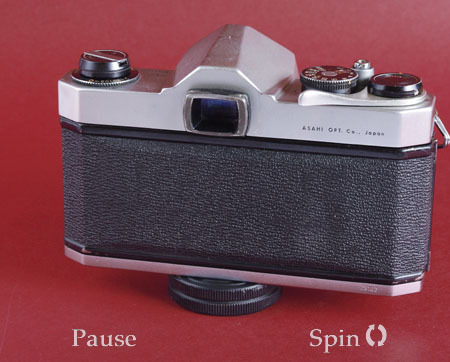 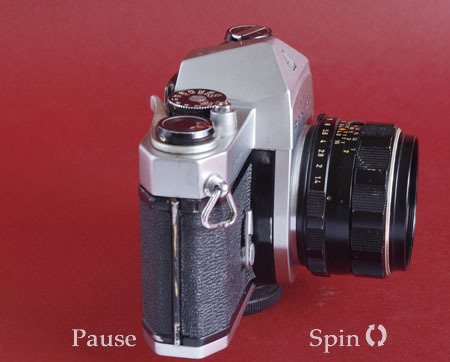 Hard to believe this Spotmatic is nearly 50 years old when this rotating view was made. 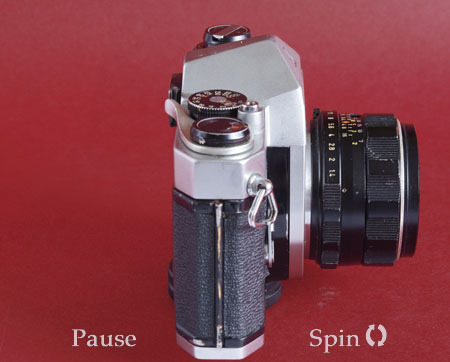 It gives away its age when you see the twin flash sockets, the top for bulbs and the bottom for electronic flash. 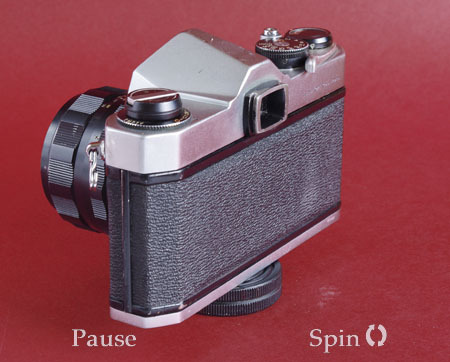 Above these is the preview buttom, sliding it up closes the aperture snd allows a meter reading to be taken. 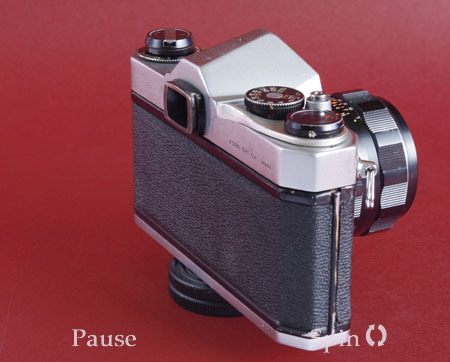 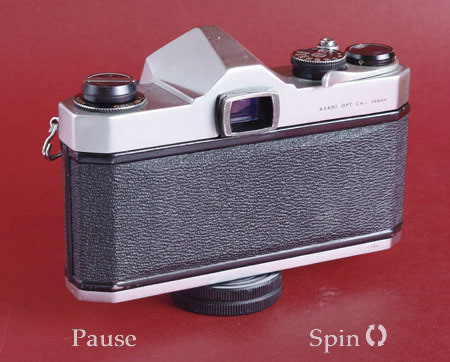 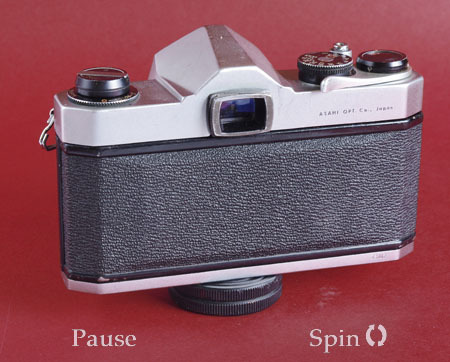 Also of the era is the ability to have the lens set to close the aperture when the shutter is released or preset so that it operates with the selector ring. 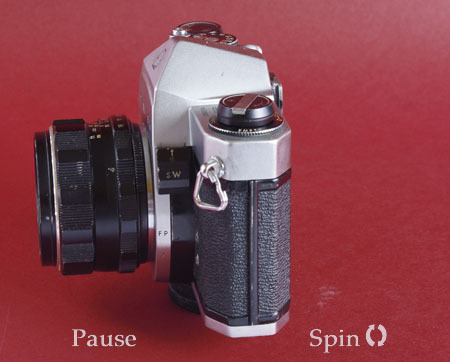 The button to release the delayed release is uncovered when the spring is tensioned with the setting lever.